A firm favourite of ours in the ride-on tractor market. Packed with useful features together with excellent build quality keeps this ride-on at the top of its sector. Cutting heights from 35mm to 90mm over 6 settings. 250 litre grass box capacity which can be emptied from the drivers seat. Electromagnetic blade clutch for simple blade activation. 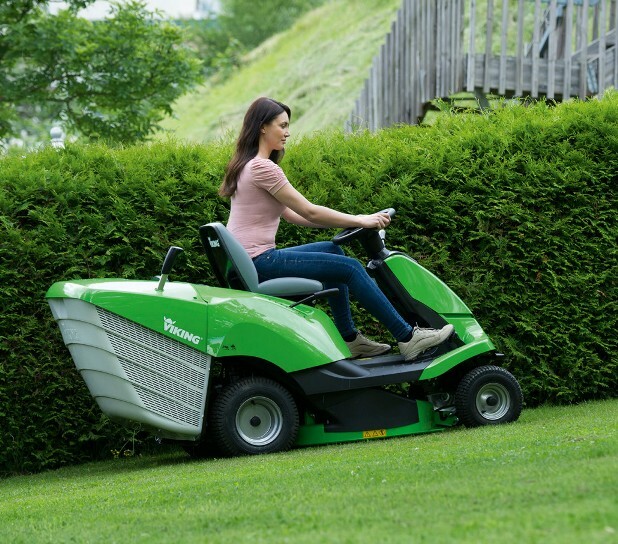 Ideal for lawns up to 4,000m² or around 1 acre. 25% off RRP while stocks last. Have a question - info@celticm.co.uk or call 01792 641 517. Delivery - subject to location we can deliver your ride-on - usually free of charge. Installation - our qualified installers will spend as much time as needed with you taking you through all the features and controls of the machine, we don't leave until you're happy. We will register your warranty, with any future work needed being done in house by our fully qualified technicians. Peace of mind that you will be a customer of one of the largest family owned horticultural dealers in South Wales.